If you like live on hardware recorded house music with a lot of funkiness. This next album by DJ Jenifa may come in as a beautiful free treat. Before i tell you how to get DJ Jenifa – Jag Trax as a free download let me dive into the album a bit more first with a small review. In the over-crowed electronic dance music scene it’s very hard to stand out as an artist and even harder to be a little bit different. Nowadays’ everybody can produce music on a computer and there are even examples of complete productions made in apps on devices like smartphones and tablets. DJ Jenifa – Jag Trax. Becoming a producer isn’t that hard anymore. But being a well respected one with a unique sound is. DJ Jenifa knows how to approach this level of uniqueness as you can hear in our weekly installment 302 where we played a few tracks from this album. 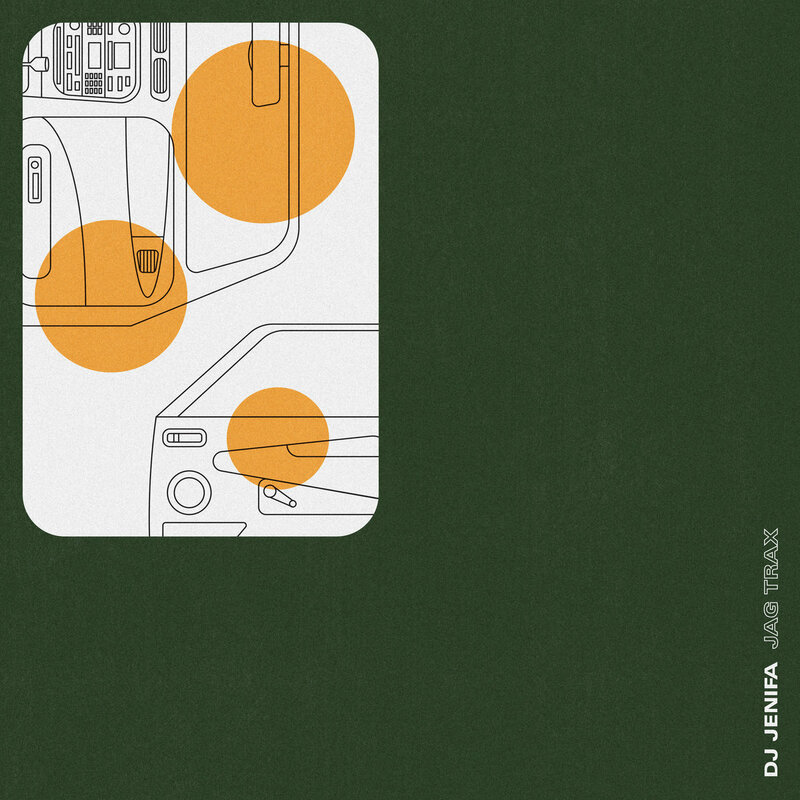 His album DJ Jenifa – Jag Trax has that real unique house sound. And before we proceed i can hear you think, did he just said ‘his’? DJ Jenifa sounds like a female DJ, but it’s not what it seems like and it becomes better. Recently we found out that DJ Jenifa is an alias / moniker artist name from the UK producer Derwin Dicker who you might even better know under his artist name ‘Gold Panda’ which is a very established name in the global music scene. According to the the review in factmag in march 2019. The name DJ Jenifa is taken from the De La Soul classic ‘Jenifa Taught Me’. DJ Jenifa – Jag Trax is a sampled based album where all tracks are based on single looped samples all made on an Akai MPC1000, Roland TR808, Yamaha PSS480. An MPC2000XL by Akai, Korg ES1, a Mackie mixer and like he stated on his Bandcamp account there might be even some more equipment being used in the production of DJ Jenifa – Jag Trax. DJ Jenifa – Jag Trax is available through Bandcamp as a free download. You can always donate to an artists and name your own price for a download. But downloading an album and promoting the producers name that way is also a great way to support a DJ and producer. To get this free download through us, all you need to do is fill in your e-mail in the form here below. And we will right away send you a link to the given e-mail address. Next to that you will be listed to our newsletter and we will only send you a weekly mail with new music and to keep you updated on other awesome free music downloads.